As a Google Ads Premier SMB Partner, Valpak of Orange County is also recognized for its ability to create or expand online exposure for small and mid-size businesses. Get proof of your print and digital ad campaign’s performance using our performance tracking dashboard. You’ll receive regular reports on the number of calls, clicks and leads your print and digital campaigns are attracting. These deep insights help to identify your prospects and close more sales. Let Valpak of Orange County jump-start your small business advertising outreach to qualified households throughout the area, including Irvine, Santa Ana, Huntington Beach, Costa Mesa, Mission Viejo, Newport Beach and other neighboring cities. For specific dates and coverage, contact your Valpak of Orange County representative. 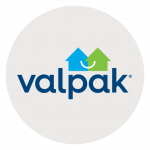 Valpak of Orange County is an independently owned Valpak franchise.